In recent years, much has been said about the use of heavy metals, including lead, in a broad range of products. The subject emerges from time to time in the mainstream media, as the popular, national press has reported on laws and regulations impacting on the use of lead in glass and ceramic products. Certain media elements have also attempted on occasion to "sensationalize" reports of lead in consumer products. Some groups, lacking in knowledge of all the facts, unnecessarily alarm the public. Unfortunately, sometimes this can result in confusion for those who purchase such items. Some individuals believe certain requirements apply to particular items when they do not apply; or that everything must be "bad" if there is any lead at all on the product. In fact, there are no known cases of commercially produced glass and ceramic ware purchased making anyone sick. Please note this is for informational purpose only, be aware that laws and standards change and vary from states to provinces. The laws and standards generally apply to products intended for food use. To protect yourself and your clients, please check your local or regional standards. Ceramic Foodware : In November 1991, the U.S. Food and Drug Administration (FDA) announced revised standards for lead and cadmium leaching from the food contact surface of ceramic foodware. These standards set the maximum level of leaching. The standards are contained in FDA's Compliance Policy Guide and have not been issued by FDA as formal regulations. We note that they apply only to the food contact surface. 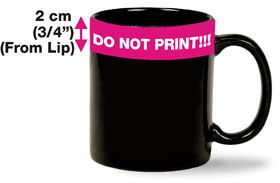 These limits are not applicable to non-food contact areas such as the outside of a mug or canister. Lip and Rim Area: A voluntary industry standard limits the amount of lead and cadmium leaching from the top 20 mm of the outside of a ceramic cup, mug, or drinking glass. The limits are not more than 4ppm of lead and not more than .4ppm for cadmium. The standard does not apply to ceramic or glass ware that have less than 60 mm of decorating area below the rim and which is not intended for usage by children. 1) Printed Label: "Not for Food Use. May Poison Food," "Not for Food Use. Glaze contains lead. Food Use May Result in Lead Poisoning," and "Not for Food Use--Food Consumed from this Vessel May be Harmful,"
2) A hole is bored through the potential food-contact surface.